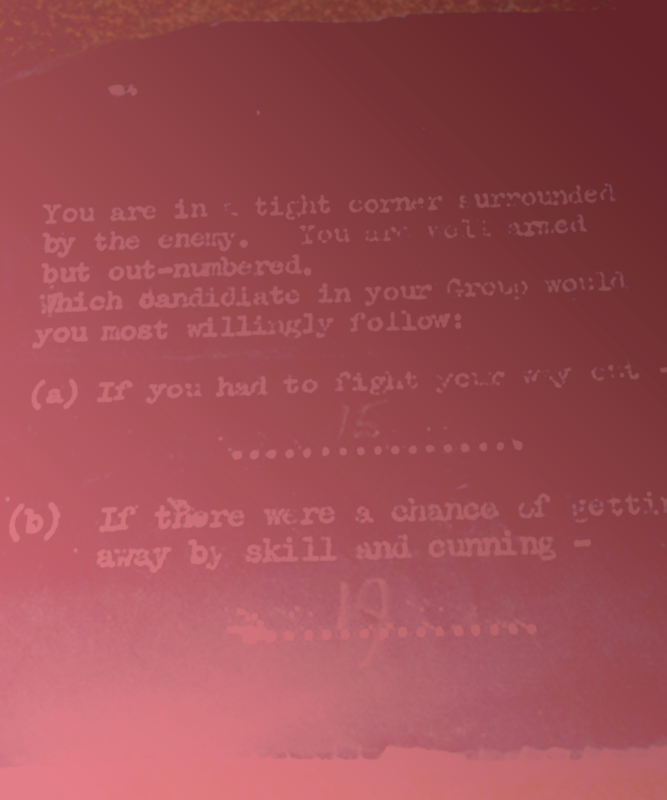 Drawing on archive materials from the time of the Tavistock Institute’s birth, this event allowed members of the public to try a range of psychological tests used by the army to select officers during the Second World War. The two-hour event put officer candidates through their paces with a mix of individual and group tasks such as word association and thematic apperception, interspersed with psychological and historical insights from the team, and with room for discussion at the end. During the session we reflected on the influence of applied psychology in the modern era, the politics of such tests now and then, but most of all if event attendees have what it takes to make officer! Elena Carter is an archivist at Wellcome Library. She helps to look after and facilitate access to the Library’s diverse and unique collections, to allow researchers to explore and engage with history through the lens of the medical humanities. As part of the role, she spends one day a week working on the Tavistock Institute archive project. Her particular focus is providing support to the 2017 Festival and audience and research engagement. Elena worked as the Tavistock Institute’s Archivist between October 2015 and March 2017, cataloguing and making accessible parts of the Institute’s extensive and rich archive. Matt Gieve is a researcher and consultant at the Tavistock Institute. He has a background in psychology and his research at the Institute focuses on the fields of mental health and family policy. He also works within the Institute’s Group Relations programmes, twice having taken up staff roles at the Leicester Conference. Alice White is the Research Engagement Consultant for the Wellcome Library, which involves helping others to discover what fascinating (and unexpected!) materials can be found in the Tavistock archives. She has a close connection with the archive both because it was central to her PhD research (on the Second World War activities of those who went on to create the Institute) and because she helped the archivist Janet Foster to go through rooms full of boxes when the archive first came out of storage.